Leigh is very professional and most importantly she suggested the best selling price. Leigh managed all inspections and maintenance vendors on our behalf, and she staged our house for free. She lives in town and knows all about the area. She helped us with the closing and negotiating with the buyers while we felt no stress with her timely updates. Leigh is just an email/or text away and quickly responded to our questions. Thank you for everything Leigh! So exciting to start the next step in our home journey and even more excited we get to do this with you! You are amazing at what you do and are very supportive in helping us fulfill our dreams. When we decided to sell and buy a home in Clayton, we knew it would take an experienced and knowledgeable realtor to market this unique property and purchase a new on with our stringent requirements. 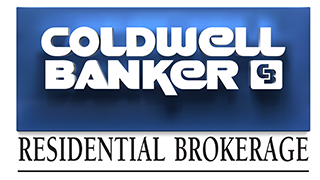 We interviewed several realtors from various agencies and chose Leigh Klock with Coldwell Banker. Leigh immediately recognized the potential in the property and developed an extensive marketing plan to sell in a short time frame. Leigh is very familiar with Clayton as she has lived here for many years and raised her family here. Leigh was with us for every step of the process, helping us determine a reasonable and fair price, Staging the home, and then bringing in a photographer were her first steps. Professional photos, including aerial, were taken of the extensive property, inside and out, to be used in flyers, mailers, ads in several papers, and on our custom website. At her expense, she completely staged the house and helped us remove items for the interior and exterior which distracted from the unique character of the house and property. The realtor open house was at Leigh's own expense and a very successful catered event. Leigh then held open houses on two successive weekends. At the end of the second weekend she announced to realtors with interested clients that we would accept bids that Monday. We received multiple bids, and this is when you need a professional to help you determine which offer to accept. We had several full price offers and selected the offer with minimal contingencies. Leigh continued to guide us through the various required inspections and to act as the professional liaison between the buyer prospects and the seller. She even attended the meetings with two different title companies (for the sale of current home and the purchase of the new home) to be sure our interests were protected. Leigh not only helped us sell our home, but also found us a replacement home in Clayton that met our stringent requirements. Again the home we wanted had multiple offers above the list price. For the second round of bidding, Leigh helped us put together a competitive offer that was acceptable to us and to the seller, which was accepted. All this real estate activity took place over a short period of time, in less than 30 days, with almost no stress on our part. Leigh Klock is an excellent realtor who made selling and buying a home a rewarding experiences, and we would recommend her to others for their home search without reservation. I met Leigh during the course of selling my home which was already listed with a different agent. After only a few minutes of discussing my home and the market, in general, I knew I had the wrong realtor in my corner. If only I had met Leigh a few weeks earlier! Naturally, when it came to buying my next home months later, I didn't hesitate to call Leigh. And even though my expectations were high, she far exceeded them. She helped me find the perfect home for me and my family. I can't say "I couldn't have done it without her," because there are other agents and other homes. But I definitely couldn't have done it with with the ease, comfort and confidence that Leigh provided. She carried the burdens that were more than I had time to deal with (inspections, research, etc.). And she guided me through the complex process of buying my home as though I were part of her family. She was extremely knowledgeable. I'm a divorce attorney who deals with home sales on a regular basis as part of my job. But Leigh taught me something new almost every day. I was not an easy client-I asked many tough questions and had evolving goals. Leigh was masterful at pivoting to pursue my changing goals, not to mention incredibly patient, and always contributed a sense of humor and uncommon grace. She also had very good resources when I needed other professionals, such as lending consultant, or a good inspector. I would definitely call Leigh again if I were buying or selling anywhere in the Bay Area. And I highly recommend her. When we decided to sell our home of thirty years, we knew that we'd need a lot of help. We chose Leigh Klock after reading her online resume. Leigh took us through the process patiently, responding daily to our many calls, texts and e-mails. She knew contractors able to handle the tasks, large and small, that our house required. She called them for us and then made sure the work was completed on schedule. Along the way, she listened, assessed our concerns honestly, and made sure we stayed on a practical and efficient path. When the house was ready she explained how to price it, stage it proefessionally, and show it to the public. We had serious inquiries right away, and her analysis of each was spot on. We trusted her advice and are glad we did. Leigh was a nurse and a teacher of nurses. Her sensitivity and understanding built the kind of trust we really did not expect. She knew the emotions that may arise when good offers arrive, and they did arrive because she kept us on task from start to finish. While she was selling the old house, she was searching for our new home. We wanted to be closer to our son's family, and Leigh knew how to do it. She understood us and our needs, probably better than we did. Read her resume online. It is accurate and true. We highly recommend Leigh Klock. When I told my friend I was selling my house, she immediately recommended Leigh. I'm so happy she did! Leigh was professional, knowledgeable, and kind every step of the way. She staged our home beautifully and had gorgeous flyers printed! We hit a bump in the road when the first offer fell through-but Leigh kept calm and on track and soon after we received another offer that went through with no issues! Leigh was also our agent in the purchase of our new home. She was able to recommend wonderful inspectors for our home who gave sound advice. We love our new home and are so very happy Leigh was our realtor. I highly recommend her for anyone looking to sell or buy a home! Leigh Klock is an outstanding Realtor. I was looking for someone I could trust, someone with patience, kindness, and who was willing to explain in detail how the sale of my house would take place. I know I made the right choice. Leigh went over and above in explaining every step in detail to me. Leigh was always there to answer my calls, emails and texts, day or night. All transactions went smoothly. She staged my house beautifully. I know I that made a huge difference in the amount it sold for. I would definitely refer Leigh to any friend or family member who needs a realtor they can trust. Leigh is Always a professional! Thank you so much Leigh, you are the Best! Our house sold! Leigh Klock, who was our realtor, did an amazing, committed, and positive job. She helped us in so many ways, that we could not have done it without her! Yeah, Leigh Klock! In a world where many real estate agents only seem to be out to line their own pockets, Leigh is a welcome exception. She is a person of honor and character and someone a home buyer or seller can trust. I have worked with Leigh on 4 separate real estate transactions (2 buys, 2 sells) and have had a positive experience with all of them. Leigh works hard for her clients and earns their respect through her experience and efforts. 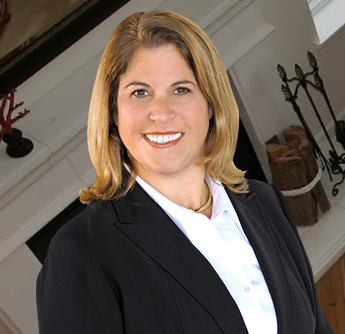 I’ve had the pleasure of working with Leigh Klock on three separate real estate transactions. I would like to express my respect and appreciation for Leigh, she is nothing but professional and has extensive knowledge of the market. In all three transactions Leigh communicated openly and guided us through the process seamlessly. Hands down Leigh is the best in the business and if I need to move again, she will be my first choice for a real estate agent. I have felt so comfortable with her professionalism that I have referred her to family members and friends. Leigh Klock is an excellent realtor. We just worked with Leigh on the purchase of our new residence in Walnut Creek and also the sale of our home in Concord. Leigh was well dressed, friendly, and very professional. She was very knowledgeable with the entire process on both homes. Leigh staged and marketed our Family home wonderfully. We got 8 offers within a few days after the 1st open house!-7 were over the asking price! We sold the home in a week after the listing date-and closed escrow 30 days after the initial signed contract. Also she helped us negotiate a very good deal on our new purchase home. So, all in all, a great experience and both transactions went seamlessly. We would highly recommend Leigh to anyone needing a realtor and would go to her again when we have another real estate transaction in the future. Thank you Leigh Klock for finding our new home and selling my old home! Your guidance and friendship are over the top. Leigh is great! She’s one of the most trustworthy hardworking people I know. Thanks for all of the help Leigh. Leigh, Working with you was an enormous professional pleasure. Your enthusiasm, competence and personality make the entire experience so joyful. Thanks for keeping me up to date on all the important steps. Sally and Nancy could not have had more “first-class” service. It reflects on our company, but I know you are the source of such satisfaction. Thanks for all our efforts in helping my family and I sell our family property. You did an amazing job, often over and above your job description as listing agent. You were there for us at every turn. We felt like we had a partner to rely on… when things needed to get done, they got done because of your willingness to see it through. We recognize this is a rare quality and totally appreciate it. Mostly, your advice and your counsel were spot on in guiding us through the Clayton Real Estate Market. It is clear to me you know your stuff. We wish you continued success and envy your future clients who will benefit from your forthright professionalism. Patty and I want to thank you for all your efforts and help with preparing and marketing our house for sale this spring. We truly appreciate your hard work and tireless efforts. Your availability and positive attitude never wavered, and your personal attention and sharp focus helped us stay true to our original goals and objectives. We are grateful for your service and expertise and service.